Today Karen, who blogs at Quilty Creations, is sharing her tutorial for the cutest baby toy. 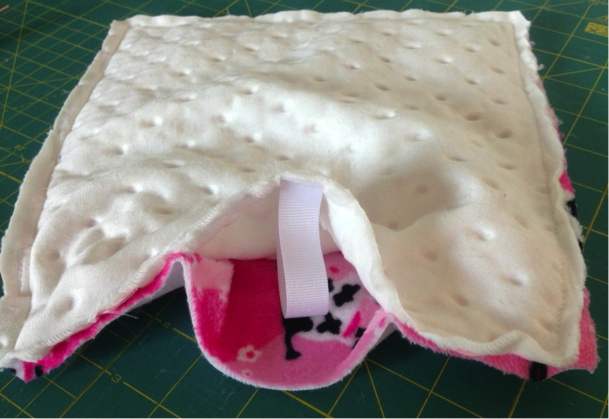 This adorable project will sew up in no time at all, and is a perfect baby gift. 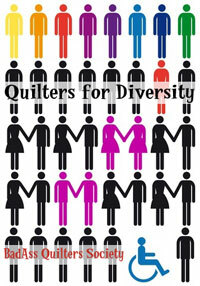 You can make one to match a quilt you are giving, or make a set in different fabrics and colours. I am putting this on my quick gift list, I expect you will too. 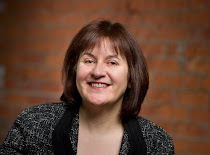 Hi, I'm Karen and I blog at Quilty Creations. 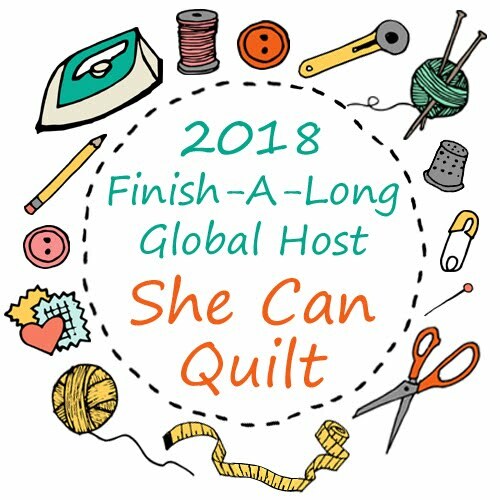 I have been sewing and quilting for about 3 years, ever since my lovely husband bought me a sewing machine for Christmas! 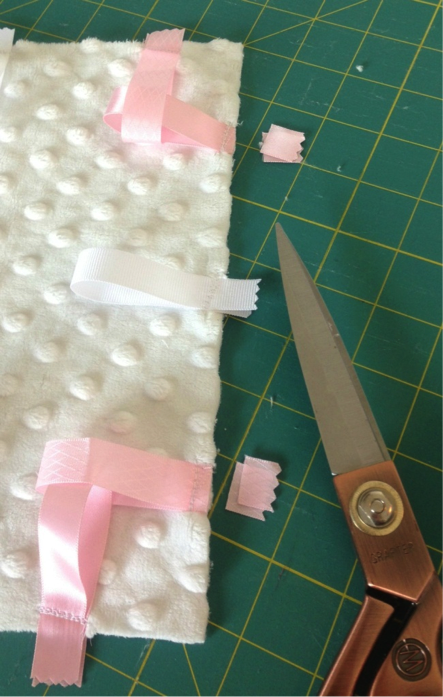 Today I'm pleased to share my tutorial with you on how to make a Baby Ribbon Blankie. I used minky fabric for these as it is super soft and snuggly for baby. 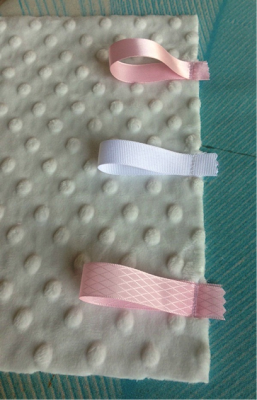 These blankets are really quick and easy to make and, as well as being a comforter for baby, they also aid hand/eye coordination as baby develops and tries to reach out and touch the ribbons. 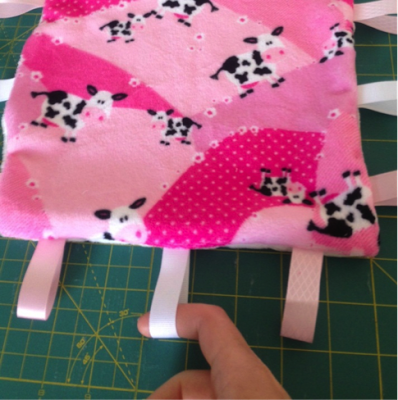 These blankies are also great for babies and children with sensory disabilities as you can make them with all sorts of textured ribbons, ric rac, or even string for them to feel and touch. 2 squares of minky fabric, 10" x 10"
12 pieces of ribbon, each 6" long. I have used 3 colour co-ordinating ribbons but you can use 12 totally different ones if you like. 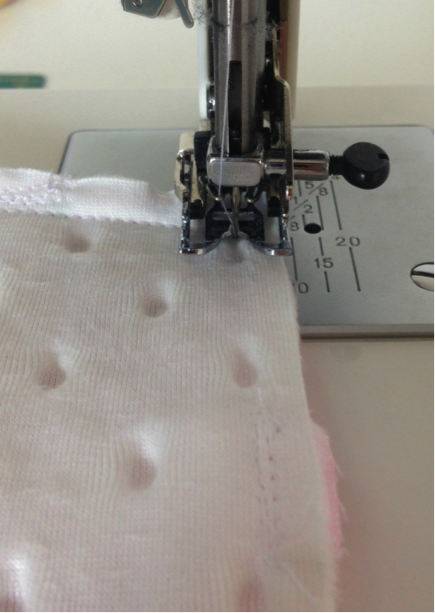 I recommend using the walking foot on your machine as minky fabric is thicker to sew through, especially with the two layers together. Let's begin! Lay one square of minky fabric right side up. 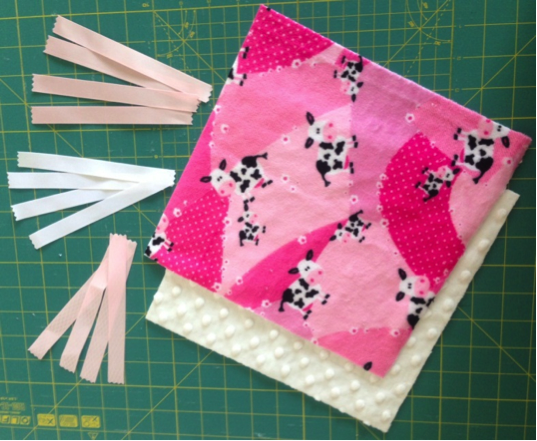 Take one of your ribbons and fold over in half and lay it on top of the minky fabric, about 1.5" from the top along the right hand edge. 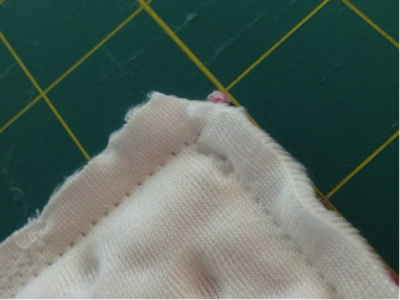 Make sure about 0.5" of the raw edge of the ribbon overhangs the minky fabric. Pin it and stitch in place a quarter inch from the edge of the fabric, over sewing several times to make sure it is well sewed down and secure for baby. 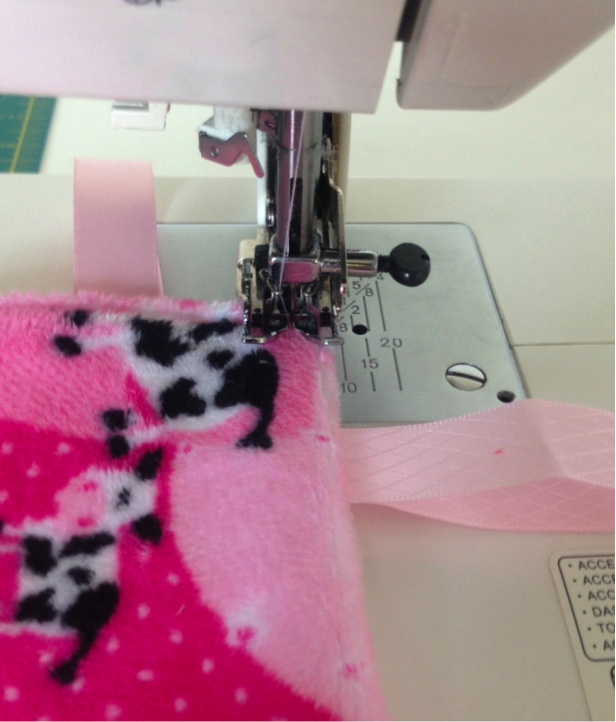 Continue to sew one of each ribbon along each side of the minky square, ensuring they are evenly spaced. 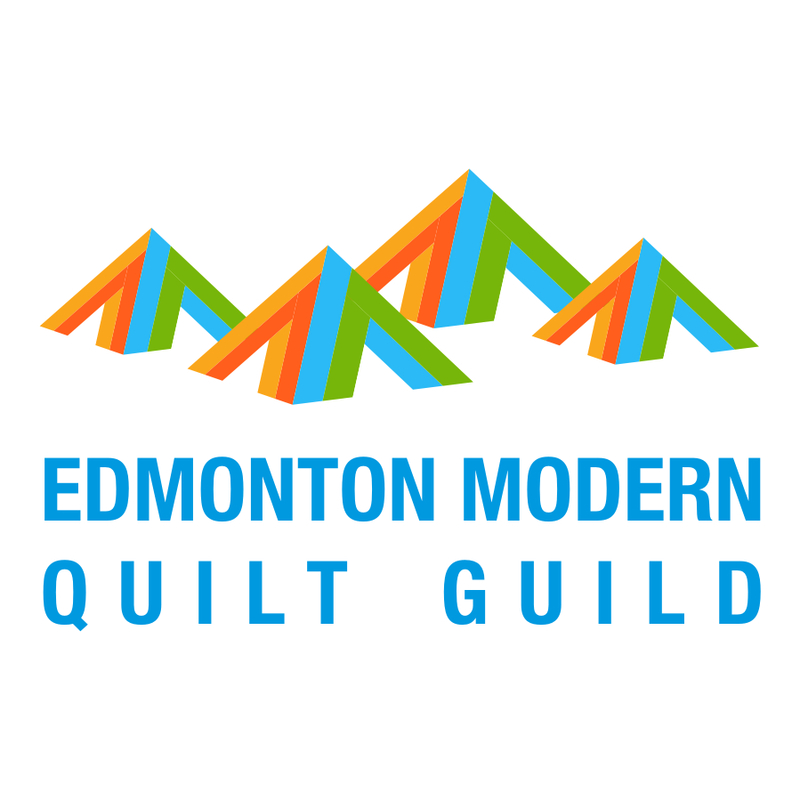 Once all your ribbons have been attached, snip off the overhanging raw edges of the ribbons in line with the edge of your fabric. Lay you other square of minky fabric on the table, right side facing up. Lay your square with the ribbons attached, right side facing down, making sure that all the ribbons are laying nice and flat inside. Pin in place - minky can be a little stretchy and slipper at times! Now we are going to sew nearly all the way around the fabric, leaving an opening to be used as a turning hole. When you sew past a ribbon, make sure that you are just inside the stitches already there, this way they will be hidden inside the blankie and will not show up later. 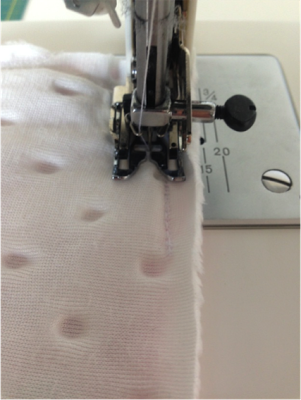 When you get to within a quarter inch of the corner stop in the needle down position, raise your machine foot and turn your fabric around so that you can continue to sew along the next side, lover the machine foot and carry on sewing. 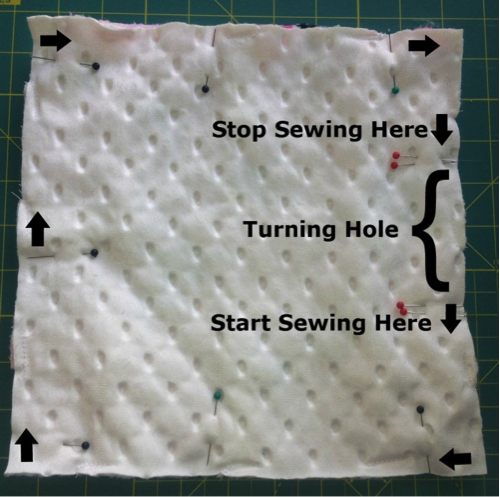 Once you have reached your sewing stop point, remembering to leave that open hole for turning, back stitch to secure your stitching, remove all your pins and clip your corners. Now turn the blankie through the turning hole. Get your finger right into the corners to push them out as far as they will go. 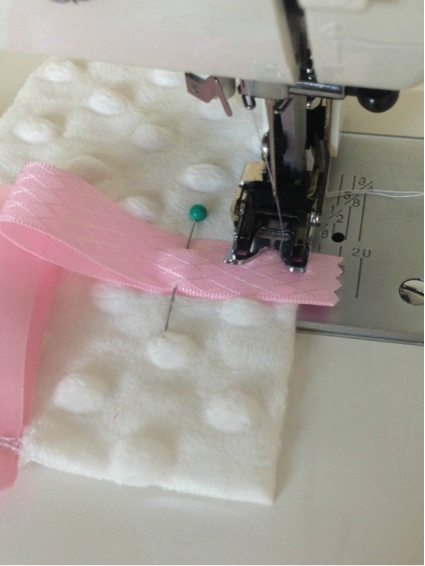 Put your finger in each ribbon loop and give it a good tug at this point to make sure it is nice and secure. Now topstitch all the way around the edge of your blankie 1/8" from the edge (or as close as you are comfortable with). As you do this you will be closing your turning hole, so as you go over the turning hole make sure that the edges are folded under neatly in line with the rest of the seams. And you're done. 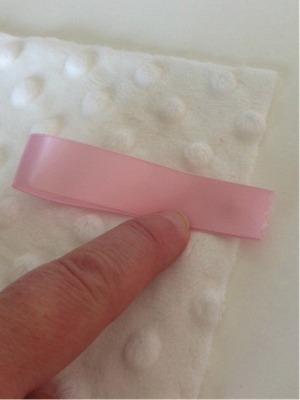 You've made a lovely soft Baby Minky Ribbon Blankie! Minky is available in a variety of colours and patterns, as you can see from this selection that I have made. Thanks so much for taking the time to look at my tutorial and please get in touch if you hav any questions. 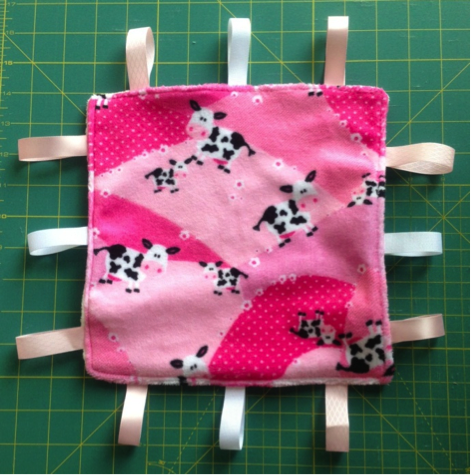 If you make any blankies using my tutorial please be sure to add your photos to my Flickr group, I'd love to see them! 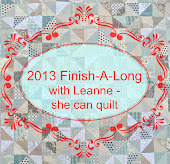 And thank you to Leanne for letting me take part. Great work Karen, well done! I think the last time I made one I quadruple stitched all the ribbons in my paranoia! Fabulous tutorial Karen!!! Now I'm gonna have to make at least one today. LOL it looks like so much fun ;) Excellent choice Leanne!!! I made one of these for a friend's baby and she was still so attached to it at 18 months that I had to make another one so they had a spare - she used to wander round the house with one in each hand saying 'two taggies now', so cute! Great tutorial, thank you! Great tutorial, Karen! Those blankies are sew sweet!